The Corrections tells the story of the Lamberts, a traditional Midwestern family led by a patriarchal railway engineer named Alfred and his neurotic wife, Enid. Their children, Chip, Gary, and Denise, have all moved to the East Coast in order to escape the constraints of their traditional Protestant upbringing. When Alfred suffers a rapid decline from Parkinson’s Disease, however, Enid begs her three children to return home for what she knows will be their last Christmas together. On his or her own, any one of the Lambert children provides enough fodder to support an entire book. Chip is a Marxist academic who ruins his life by having an affair with one of his students. Once fired from his tenure-track job, he spirals into a deep depression and ultimately finds himself working for a Lithuanian crime boss defrauding American investors. Denise is a type-A chef living in Philadelphia who, in addition to being the lover of her business partner’s wife, is a latent sadist. 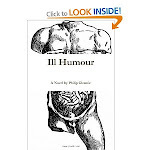 Gary, the eldest son, is a successful but depressed and alcoholic banker whose marriage to an emotional manipulator named Caroline is nothing short of a penectomy occurring in slow motion. Following this paragraph, we never again hear about Fazio, Frank Fitzsimmons, or Jimmy and Johnny. In this passage, Franzen wants to introduce us to Robin Passafro, and does so with several pages’ worth of what you just read. Most writing instructors would fill Franzen’s pages with red pen, writing the phrase “too much exposition” all over them, and would do so for one very clear reason: Franzen’s skill cannot be taught. Like Zadie Smith, Hilary Mantel, or Alice Munro (of whom Franzen is an enormous fan), Franzen can tell you a thousand facts about a single character without ever becoming repetitive or indexical (in other words, reciting a laundry list of details that don’t seem to cohere into a realistic person). And it’s because of this skill that the four authors I just mentioned can instantly identify themselves as superior writers of fiction. Franzen can be (and has been) criticized for failing to give discernible thematic unity to his novels. This is largely because he does not work in terms of theme, defined as “a unifying or dominant idea.” He rather works through motif, meaning “a subject elaborated upon through recurrence.” The titular subject of The Corrections, for example, lies far more within the realm of motif than theme. In this novel, "the corrections” refers to the economic “corrections” that swept through America following the dreamlike financial boom of the late-90s. It also refers to the neurological corrections that an experimental therapy called Correktall is supposed to give to Alfred Lambert’s damaged brain. Further still, The Corrections can refer to the corrections that a younger Alfred thinks he must constantly enforce in order to raise obedient children. 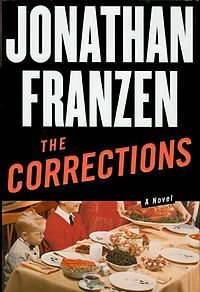 Like the details that bring Franzen’s characters to life, these diverse meanings of the “corrections” motif never fully come together. What gives Franzen’s book such an incredible force is the way it seems as though things are always about to come together. It is in this way that Franzen seduces our desire, and we are more than happy to be seduced. I can almost promise that by the time you finish this book, you will no longer think of the Lamberts as fictional characters. As a younger and theme-oriented reader, I never would have suspected that I could love a book that was so patently realist and so much more interested in people than in concepts. But Franzen got to me, and he allowed me to change the terms in which I think about very important things like family and friends. To give an example: I used to shake my father’s hand after we’d gone a long time without seeing one another. Since reading The Corrections, I hug him. This is what books can do.